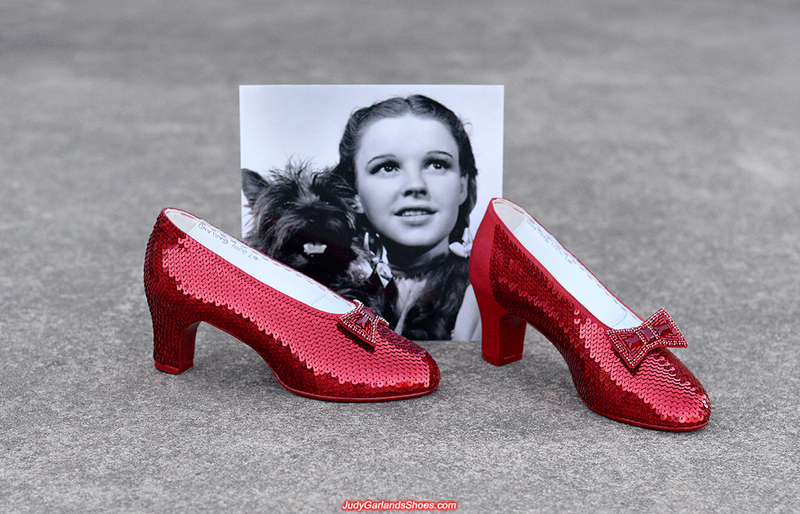 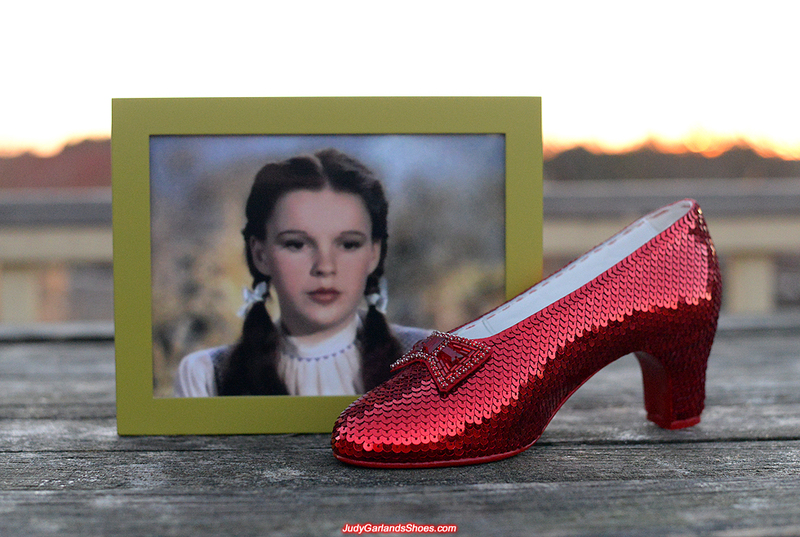 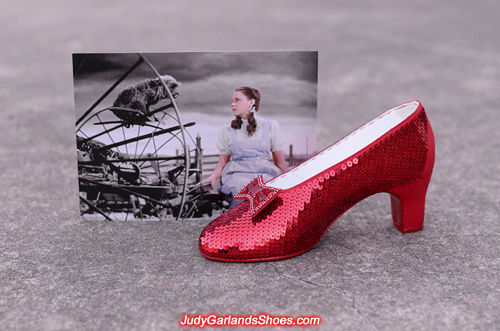 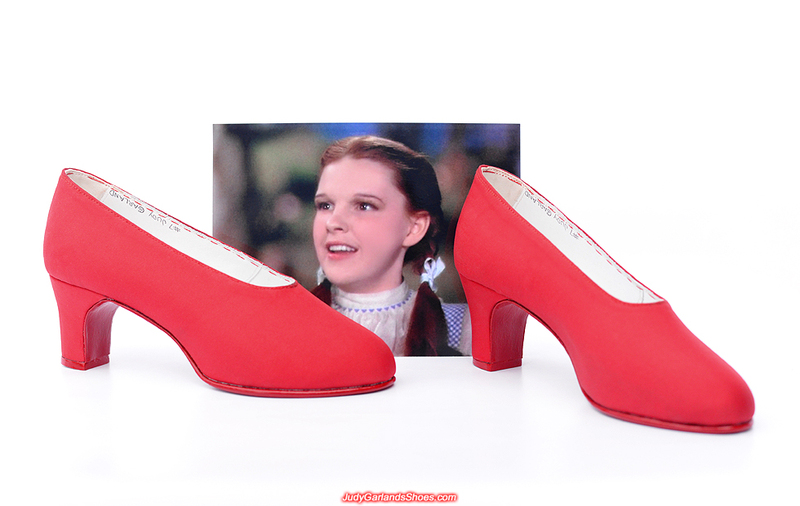 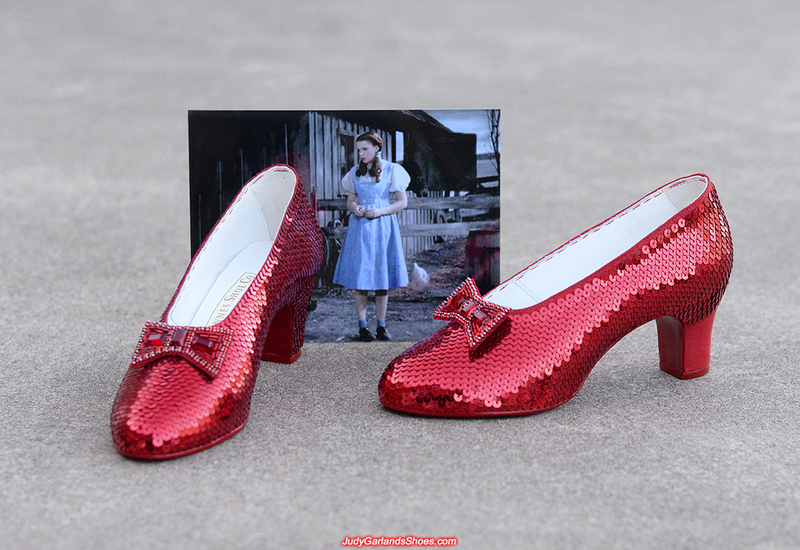 We are making a pair of hand-sewn ruby slippers in Judy Garland's size 5B for a nice lady in August, 2018. 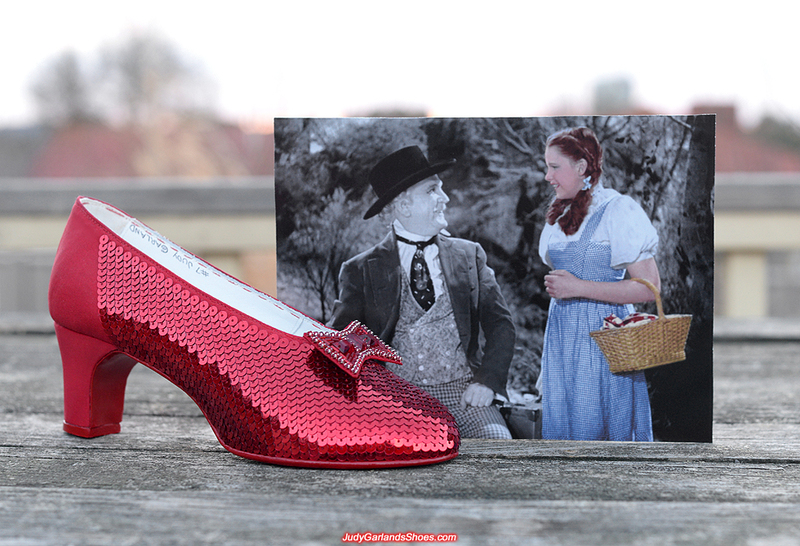 To make our ruby slippers beautiful, the first step is to make our bows beautiful. A pair of authentic-looking hand-sewn bows has just been finished for this project. 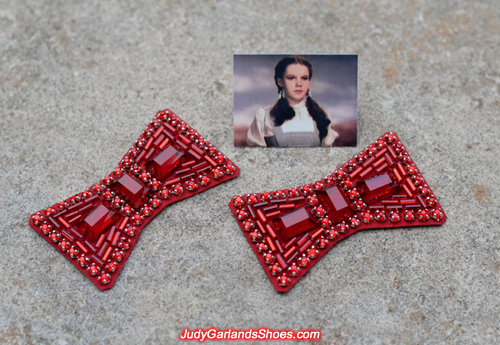 All the stones and beads used on this pair of leather and silk fabric bows are custom-made as exact copies of the original stones and beads with small holes for sewing. This pair of size 5B shoes including the wooden heels is handmade from scratch to match the exact size and shape Judy Garland as Dorothy wore in The Wizard of Oz. High quality and clear golden embossed label is stamped inside the right shoe, reading "Innes Shoe Co., Los Angeles, Pasadena, Hollywood". 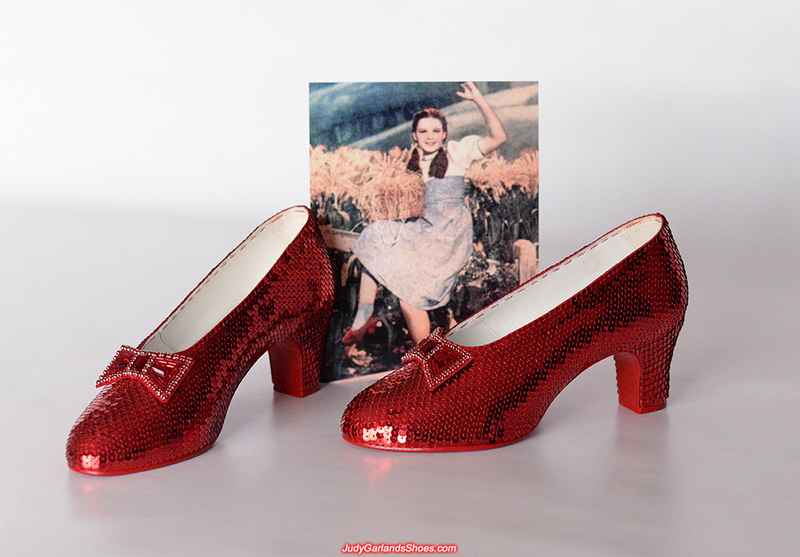 This was the company responsible for making the base shoes for the original ruby slippers. 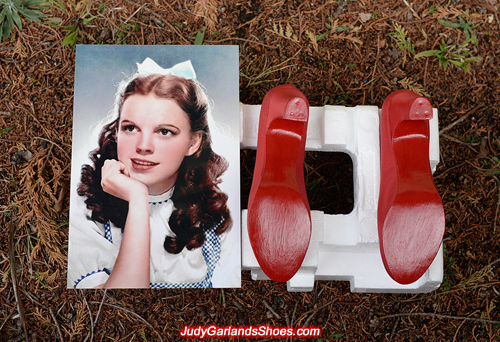 And as usual, "#7 Judy Garland" is written inside the top lining of both shoe. Our shoes has been crafted to look brand new and they are wearable too, so these are not a replica but real shoes that is up to the standards required by MGM. It's now time to sew the sequins onto the shoes. 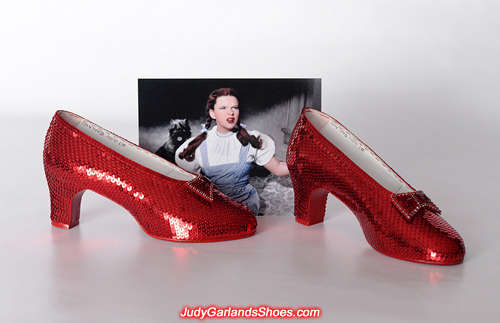 The finished product will look like a brand new pair of ruby slippers just like Judy Garland as Dorothy wore them in 1938/1939. Wasn't she a beautiful Dorothy! 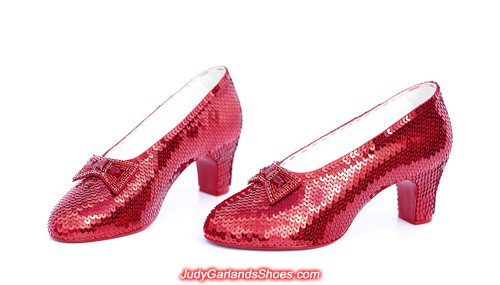 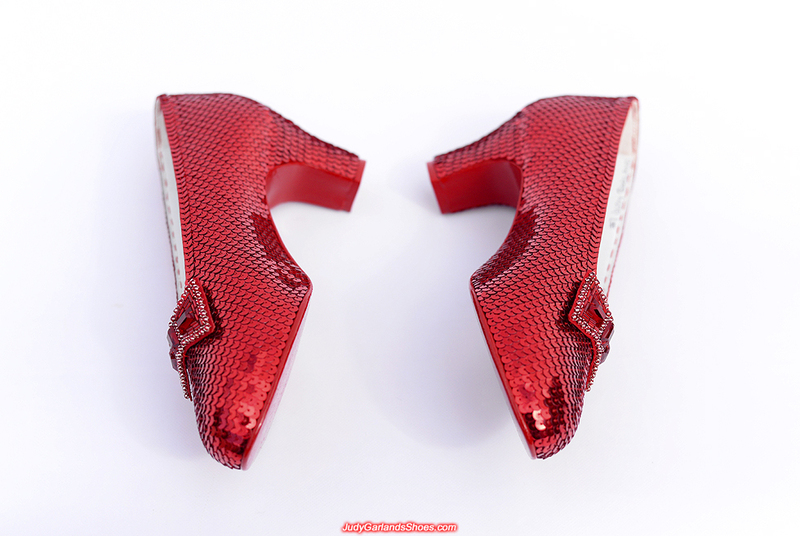 Sequining is underway on the right shoe by following the same technique in a fish scale pattern as the original ruby slippers. 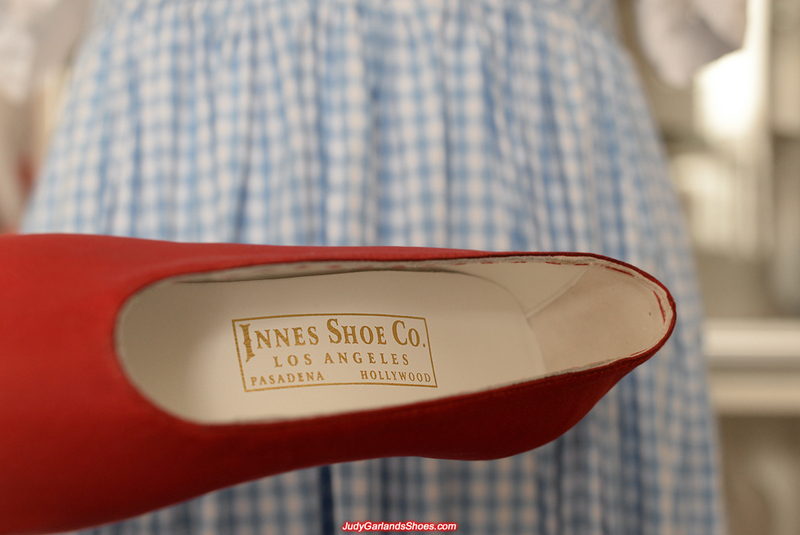 The attention to detail is evident in our work. The completed right shoe and girl looks stunning as we reach the halfway mark of the August 2018 project. 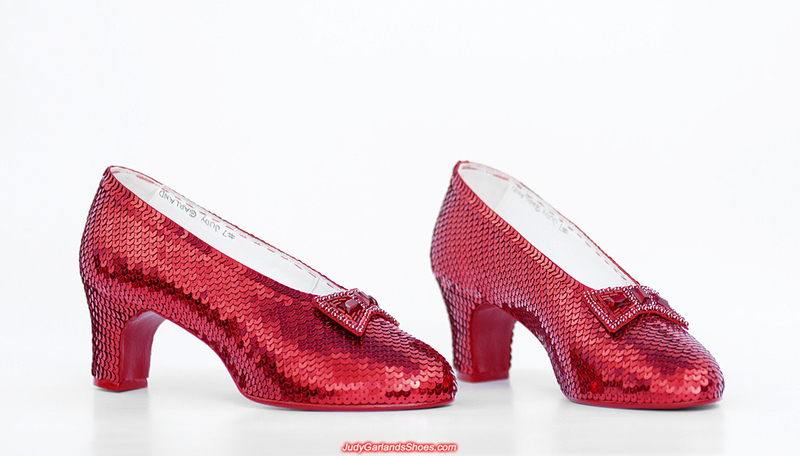 There's still more sewing to do on the left shoe and the finish line is in sight with this magical pair of ruby slippers. 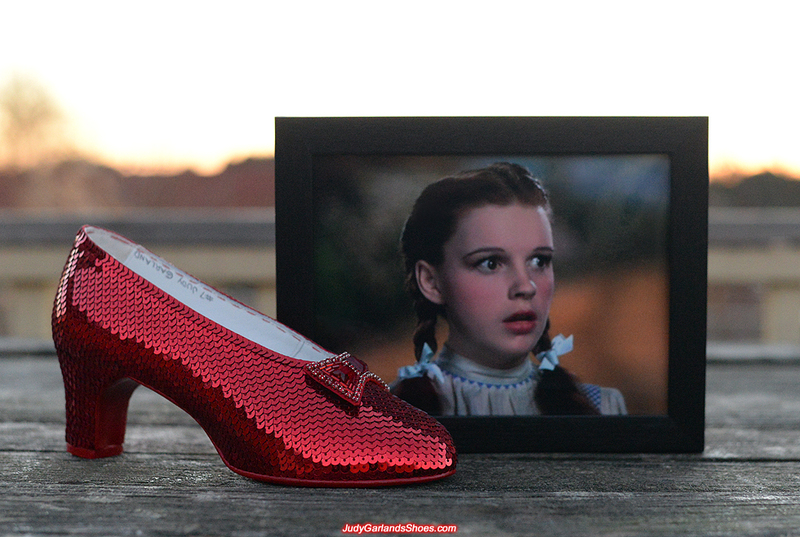 This beautiful pair of ruby slippers is finished and ready to be shipped to their new home. 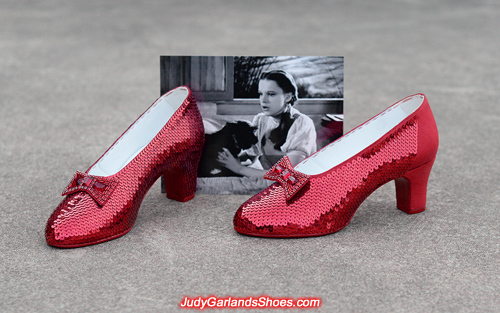 We hope the magic of these ruby slippers and Judy Garland's presence brings wealth, prosperity and success to the dedicated fan.